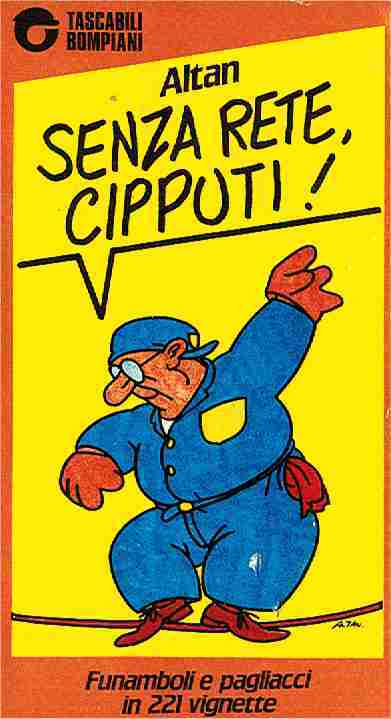 Francesco Tullio Altan is most famous for two of his cartoon creations: Cipputi the communist machinist, and Pimpa a puppy in a cartoon series for children. He was studying to become an architect but had always drawn cartoons and caricatures for his family and friends. It was when a publisher pressed him to make his cartoons more topical that his hobby became a career. 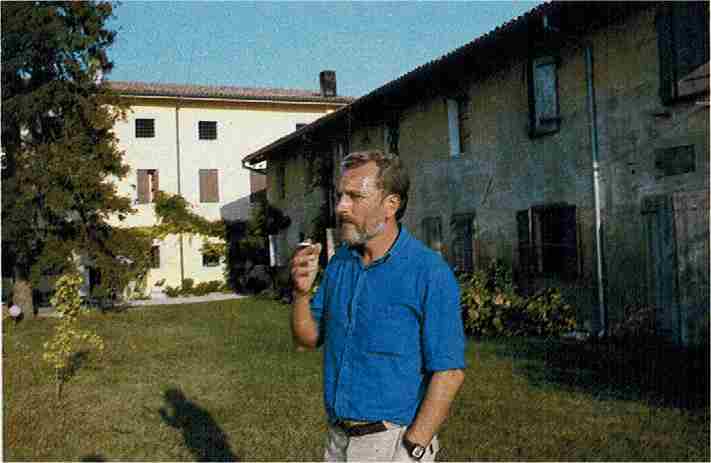 Despite his fame, he lives a private life in the Veneto, in his grandfather's ancestral home. He is an introverted, chain-smoking, modest man who tries not to judge or make political or social pronouncements. There are many who used to seek him out to get his blessing for one movement or another. But his continual refusal to be used as a mouth-piece or a buttress for any cause has made them stop coming. He sees the role of the satirist, or political cartoonist, as one who can provide an alternate point of view to a pressing issue of the day. He strives to seed doubt and promote discussion on those issues, not to resolve them. Certainties frighten him, in his speech, his thoughts, and in his work. 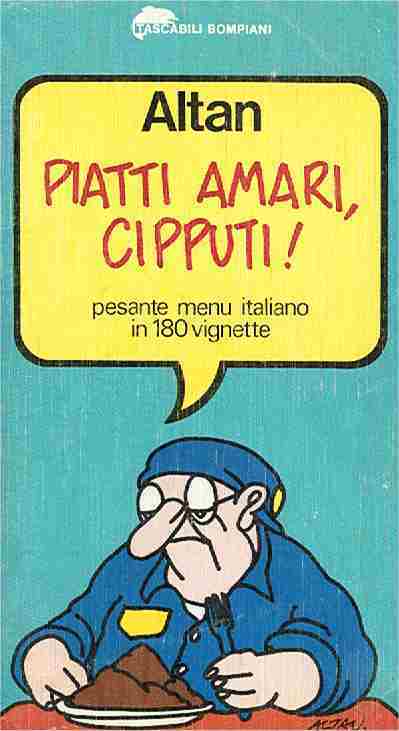 He tries to represent a consistent and clear point of departure, the point of view of Cipputi, for example, and then show how reality is viewed from that perspective. The clarity of his view, and the ability to put that together with the telling image, is his talent. Today he believes there is political satire everywhere you look, but it is often lacking a unique view point. The views have become homogenized, creating a lack of variety. It's the variety of opinion that provides the contrasts needed for comedy. So as a result, today's satire is less funny, less biting than in previous decades. To stay up-to-date, he reads the papers, watches a bit of TV, and listens to a lot of radio. Having the radio on in the background helps him fish out the catch phrases of the day, and the pressing issues that are pressed just that bit too much. He can then use the phrase and the overexposed issue in his humor. He tries to offer humor, satire, and even sarcasm and irony in his cartoons, but he is famous for not resorting to cynicism or to preaching a point of view. 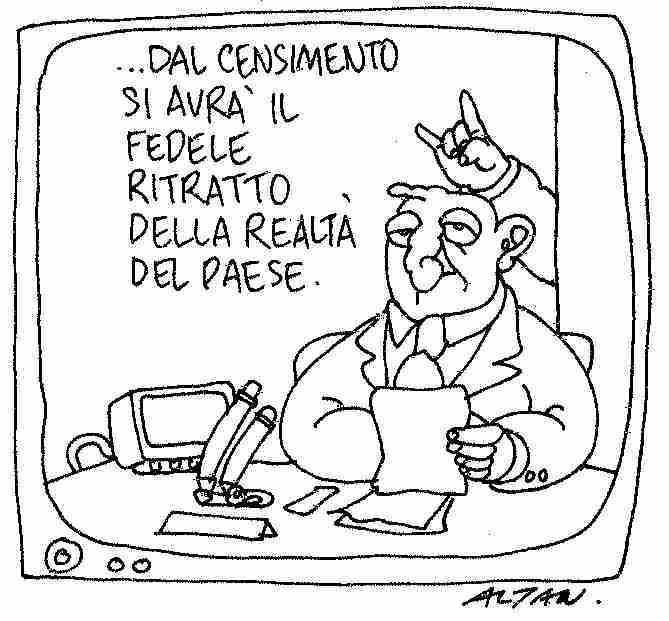 Altan does not want to form opinion. He only aims to foment discussion of opinions and a rethinking of opinions. The strongly held opinion of the day makes him uncomfortable because he is keenly aware that it is transient, and will probably be the discarded idea of tomorrow, and was the ignored idea of yesterday. 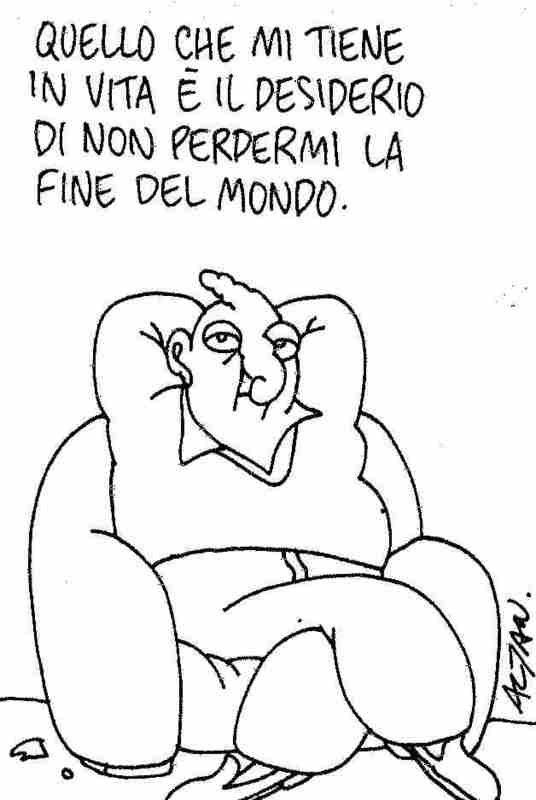 The previous points are summarized from the article: Altan società, in Europeo magazine, from April 14, 1989. 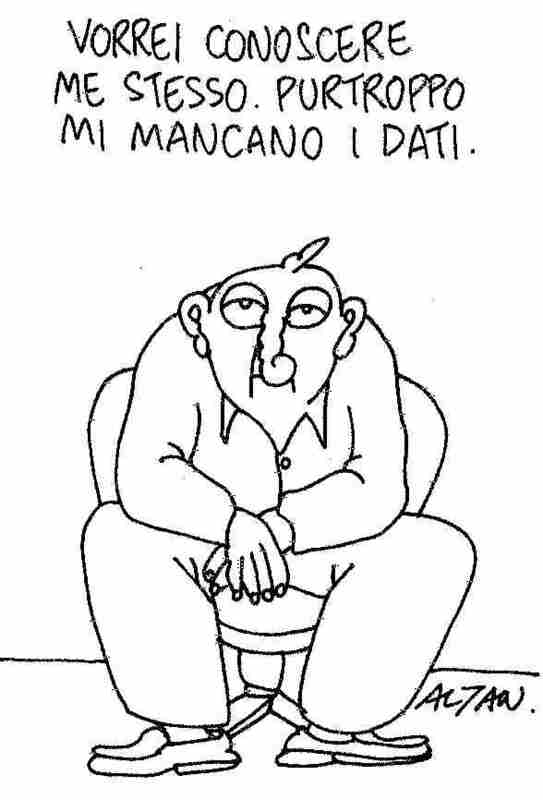 Copyright photo of Altan: Europeo 1989. The television presenter says: "...from the census we'll gain a faithful portrait of the reality of the country." Behind him someone is doing the cuckold sign over his head, meaning the true picture of the country is "we're screwed". "I'd like to know myself better. Unfortunately the key data are missing." "What keeps me alive is the desire to see the end of the world." 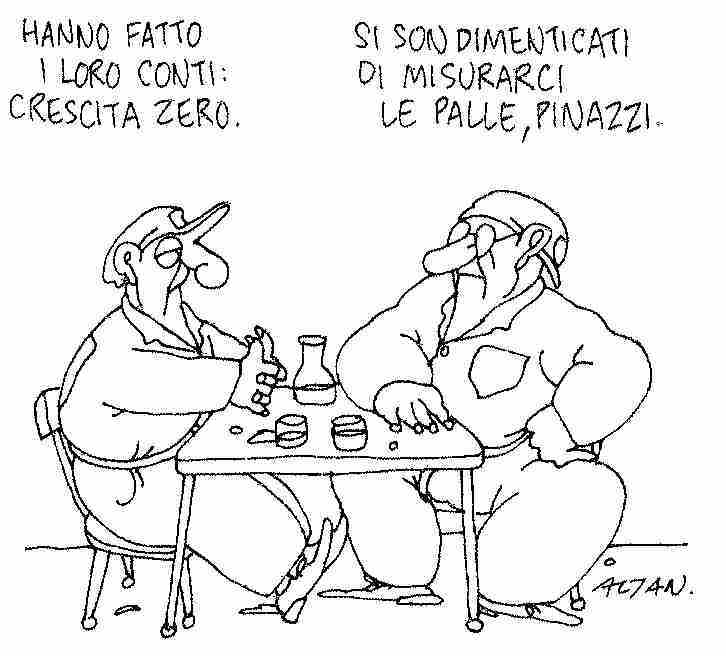 Pinazzi says: "They've done the numbers: zero growth." Cipputi responds: "But they forgot to measure our balls, Pinazzi." This refers to the Italian expression "palle cosí" that goes together with your hands signifying how large your tentacles have grown from severe aggravation. 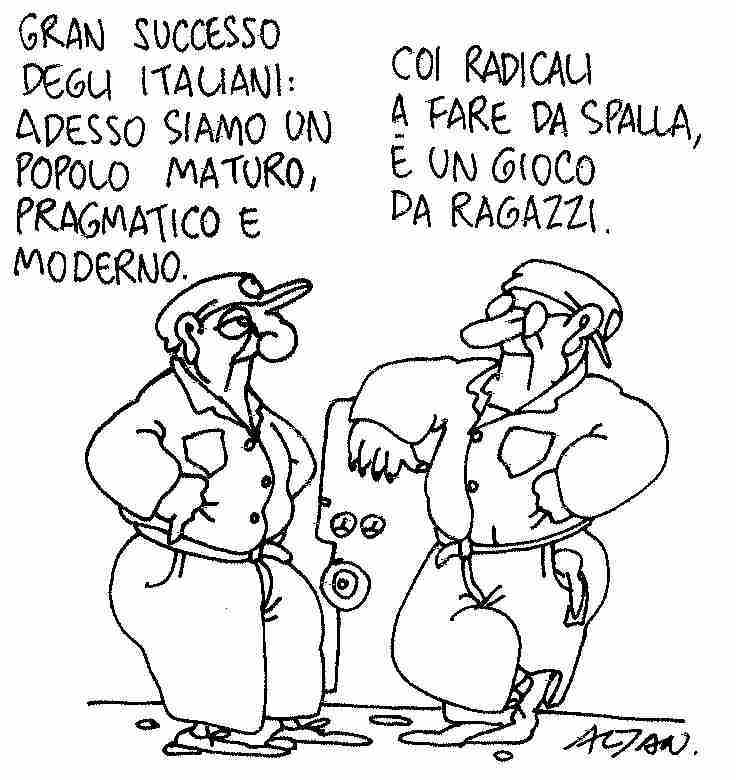 Pinazzi says: "Great news for Italians: we're now a mature, pragmatic and modern people." Cipputi responds: "And with the Radicals to back us up, it'll be child's play." Cipputi is referring to the worker's revolution, as usual, and the Radical political party. 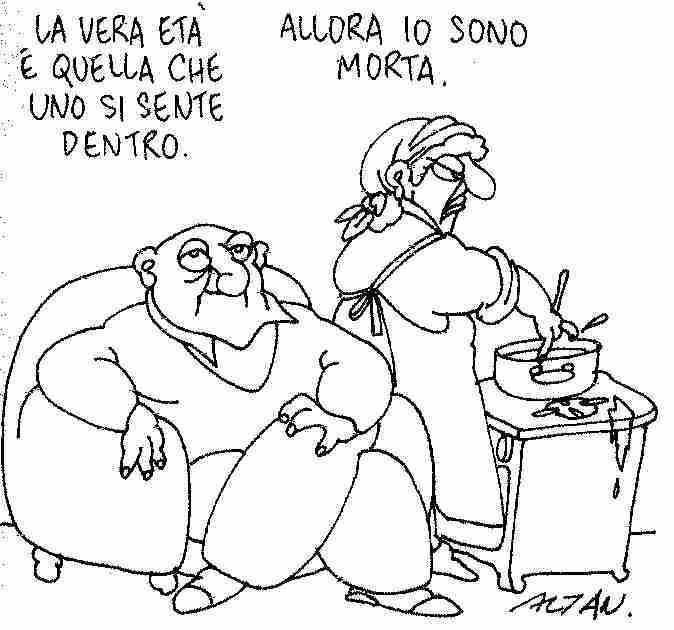 The man says: "One's true age is the age one feels inside." The woman responds: "Then I'm already dead." 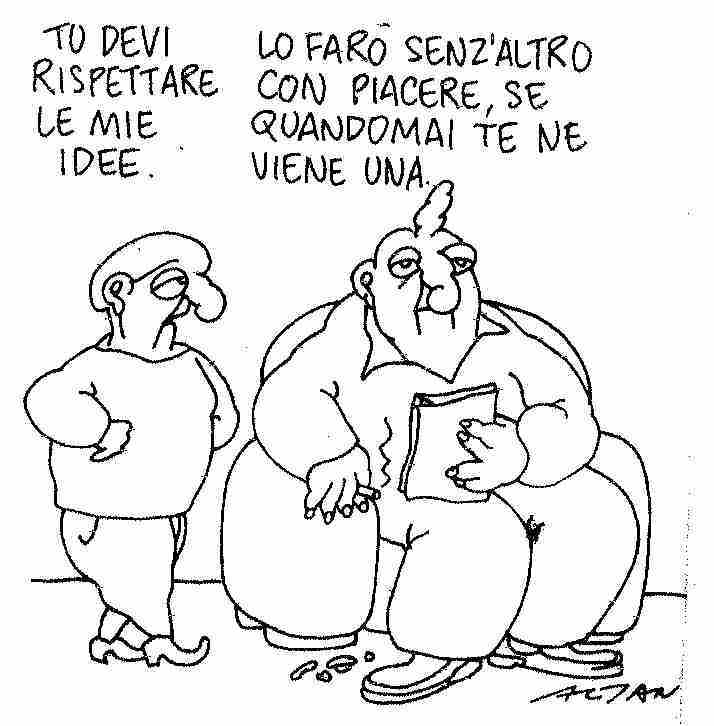 The son says: "You have to respect my ideas." The father responds: "I gladly will, if you ever happen to come up with one." The son says: "Daddy, the system is unjust!" The father responds: "Yes. But anyway, it's not like it actually works." 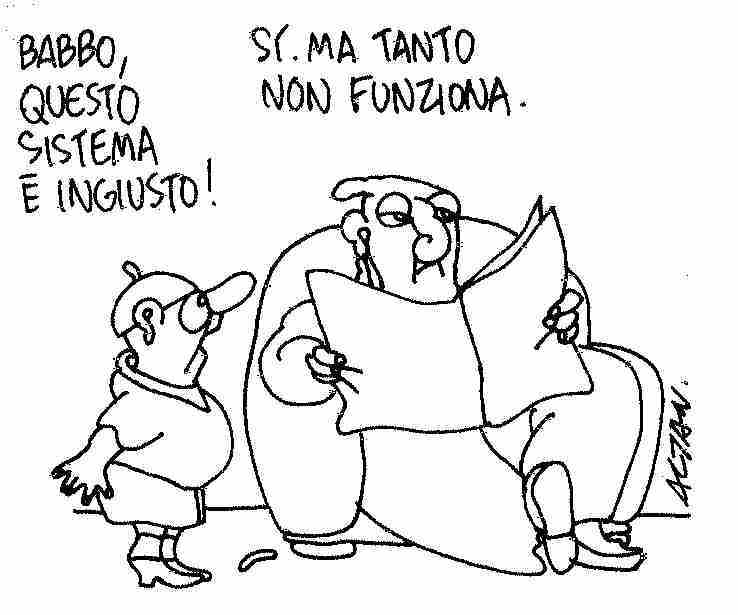 The first civil servant says: "And if they pass a law that says we have to do work?" 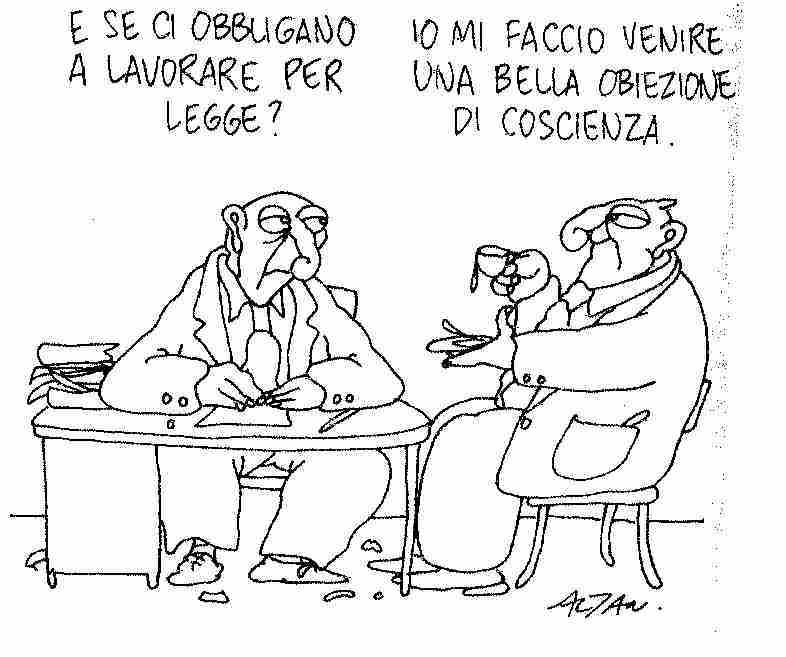 The second civil servant says: "I'll become a conscientious objector." 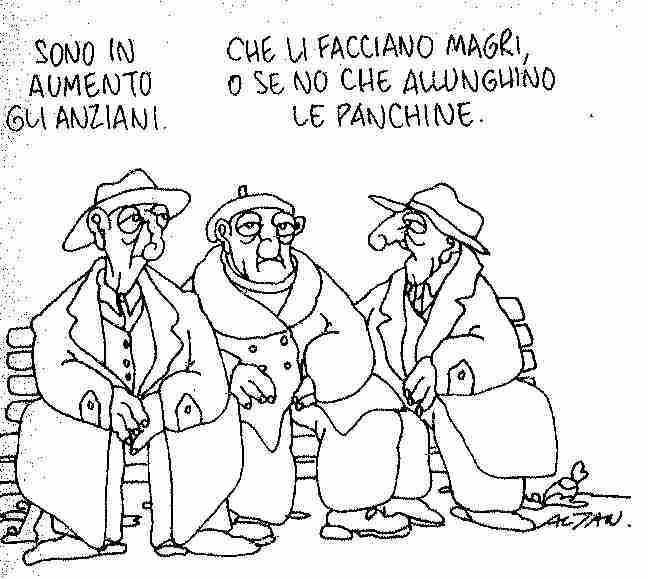 The first senior citizen says: "There are more and more old people." The second senior citizen responds: "They'd better be skinny, or they'll have to make longer park benches."